Pakistan said on Monday U.S. President Donald Trump has sought its help with faltering Afghan peace talks, part of intensifying efforts by Trump to end one of America's longest wars. 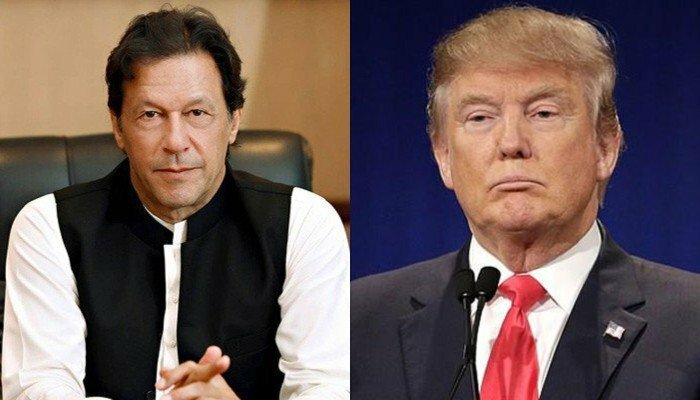 Trump, in a letter to new Prime Minister Imran Khan, asked for Pakistan's "support and facilitation" in negotiating an end to the war and offered to renew the strained relationship, Pakistan's foreign ministry said. The overture to Khan represents a sea change from Trump's normally harsh rhetoric towards Pakistan, and will add to growing speculation that the United States is planning to pull out of Afghanistan in the near future. "He has asked for Pakistan's cooperation to bring the Taliban into talks," Information Minister Fawad Chaudhry told Reuters. Trump has made numerous critical comments about Pakistan in the past, some of them sarcastic in tone. He suspended military aid last year to the longtime U.S. security ally, saying it had not done enough to rein in a branch of the Taliban insurgents, known as the Haqqani network, that U.S. officials believe shelters inside the Pakistani border with Afghanistan. In the recent series of tweets, Trump complained that the United States had given hundreds of millions of dollars to Pakistan but that officials there had “never informed us” that Osama bin Laden, the al-Qaeda leader, was living there in a city near a major Pakistani army facility. Bin Laden was killed in a raid by U.S. Navy SEALs in 2011. Khan, in turn, retorted angrily in a tweet that the “record needs to be put straight on Mr. Trump’s tirade against Pakistan.” He said his country has suffered more than 75,000 casualties in the war on terrorism and agreed to cooperate with the United States in that effort, even though “no Pakistani was involved” in the attacks of Sept. 11, 2001. On Monday, the message reportedly sent by Trump was far more diplomatic and polite, and it couched Pakistan’s role as potentially constructive and helpful in ending the Afghan war, rather than as part of the problem. Pakistani officials, in turn, welcomed the letter.